In the early part of this millennium, thin brows were de rigeur, and the thinner the better. Now, women everywhere have embraced the thick, bold look of Brooke Shields’ powerful brows. Fashion is cyclical, and makeup even more trend-heavy. Fortunately, going to the bold brow that’s in currently is much easier to recover from than the super-skinny brow. No matter what is currently on-trend for your brows, it’s important to remember that your eyebrows play a big role in framing your face and enhancing your features. So, no matter what the trend, it’s important to always start with the right brow shape for you and modifying from there to follow the trend. When it comes to your eyebrows, it may not seem like it, but there are a lot of variables to consider. 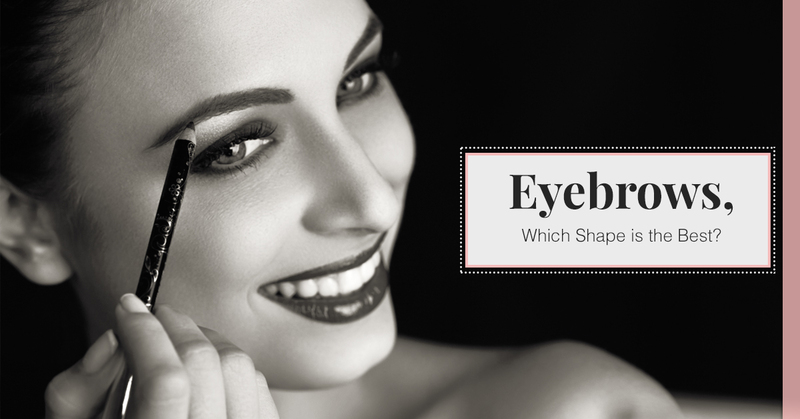 In order to find the right eyebrow shape, you’ll need to consider things like your face shape, eye shape, and how close-set your eyes are as well as your eyebrows themselves. The idea behind a good eyebrow shape is one that will help lift and brighten your eyes and provide a bit of definition. Sadly, the wrong eyebrow shape can not only make your eyes appear smaller, they can alter your face shape as a whole, making your face appear more round, closed-off, or even older. Your eyebrows can even have an impact on how alert and awake you look. It’s time to stop blaming those under eye circles and change your eyebrow shape! The easiest starting point is to match your eyebrows to your other defining facial features. A flattering brow shape will start at the bridge of your nose. The easiest trick for this is to hold your brow pencil along your nose, from the outer edge of your nostril to the bridge, and line up your eyebrow to that edge. For chronic over-pluckers, this may mean you need to hide the tweezers for a month or six weeks to give your brow hair a chance to fill in more. To find the point at which your eyebrows should end, find the line from nostril to the outer corner of your eye, and carry that angle up. This is where your eyebrow ought to reach, so again, let your eyebrow hair grow out if you’ve plucked a bit too much. When it comes to actually shaping eyebrows, finding the right amount of arch as well as the points at which to start and end it can be the hardest part. The arch, or lack thereof is where most people go wrong with eyebrow shaping. Too high, and you’ll look perpetually surprised. Too low, and your eyes will look closed off and tired. This is where a makeup artist comes in. In order to get the right shape for your face, start with a professional eyebrow shaping. Professional makeup artists are trained in analyzing face shapes and features to create the most flattering makeup looks. The same concept goes for eyebrow shaping. Once shaped, your eyebrows will just need occasional maintenance to keep their look. 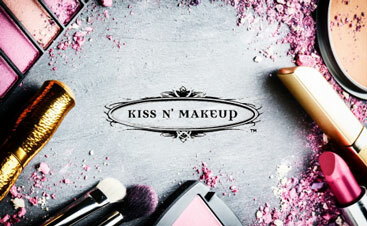 If you’re looking for the right eyebrow shape for your face, come visit the Kiss N’ Makeup team here in Austin for a professional eyebrow shaping today!